Update: We have received confirmation from My Time at Portia's publisher, Team17, that the patch is now live on Switch. This means that you'll be able to update your game from day one. 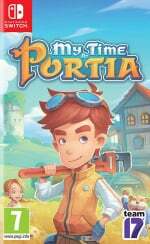 Original Article: My Time at Portia is launching on Nintendo Switch tomorrow, bringing Pathea Games' much-loved crafting sim to a whole new audience. Those who have been keeping tabs on this new release will be pleased to hear that an update is already scheduled, aiming to tackle those pesky loading times. 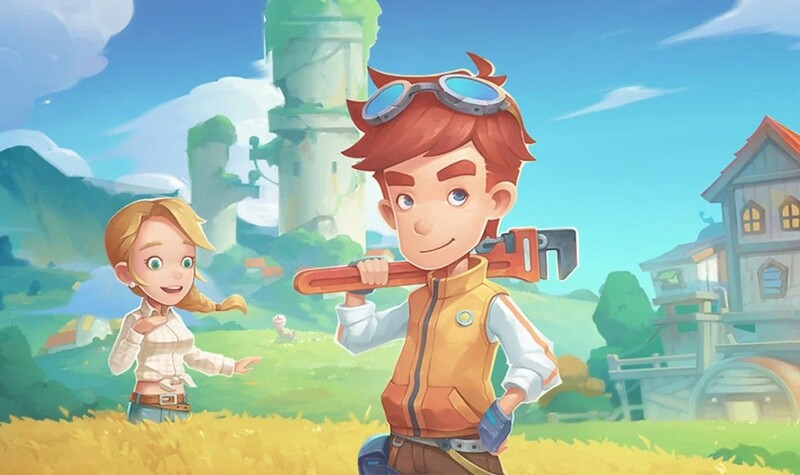 If you missed our preview of the game last month, we came away from a hands-on session feeling mostly positive; the gameplay felt pretty solid and we could see the attraction of sinking hours into Portia's cartoony world. That being said, these loading times were the one major fault which ruined the experience somewhat, with each lengthy wait taking away some of the charm holding it all together. At the time, there was still over a month to go before the game would hit store shelves, and we were hopeful that a fix could be implemented to lessen the loading times' impact. Luckily, that very fix does seem to be on the way, even if it will miss launch day. We'll have a full review of the game for you right here on the site tomorrow if you're wanting to hear a little more before buying, although this future update could well make a substantial amount of difference. Hopefully, it won't be too long before we hear exactly when the update will arrive on Switch. Have you been looking forward to playing this one? Will you be waiting until this patch arrives before playing? Tell us below. "As close to launch day as possible"
And that's what? An hour? A day? A week? More? I reviewed this game for a Nintendo review site, and let me say that this game desperatley needed this patch. Before it was looking at load times about 1-2 minutes long. It was a real issue. I was about to pre-order it until I noticed it was £5 more than the ps4 and xbox versions... I'll wait for a price drop if it ever happens. I preordered and downloaded this to my Switch about a week ago. I was playing Farm Together but after accumulating more than a million dollars in the game and unlocking all animals / plants / buildings etc. there is not really much left to do. Hopefully this game will keep me busy for a bit. This game has cooking, dungeon crawling, monster fighting, and relationships, among many other things. So yeah to be fair it will have plenty for you to do. Yes, I like the look of this game. I have been watching a few gameplay videos of it. @Quinnsdaddy11 That is just scratching the surface. of what you can do in the game. They give you so much to do, with over 3 in game years to do so. Not to mention the game is very open, so you can do whatever you want right off the bat, not even bothering with the main story stuff. One thing you can look forward to is flying around caves with a jetpack and mining ancient artifacts. It does when I have other games to play. And it is not about £5, but about paying more for the exact same thing. Edit: also in that case, £5 = 20%. The patch will be ready on LAUNCH! Directly from their twitter account. After watching the switch gameplay, even with the “awful” load times, it didn’t put me off at all. Better load times is just icing on the cake for me. Been really eager to sink my teeth into this one. Pre-ordered it as soon as it was available. Though that Undertaker “StardewValley-ish” one also has my interest piqued. Need to watch some gameplay on this one. If not for the Rune Factory games that are coming then I’d likely be all over it, but now I need to see how it could compare. I can definitely wait a few months for the real deal to come. @Rhaoulos The other versions are likely to be graphically superior too for £5.00 less. True, but this is not what I would look for in this game. I'd gladly sacrifice a few polygons and 4K in favour of mobility. @Quinnsdaddy11 To me its more of a principle. there is absolutely no reason it should be more on Switch. Its also 5pound but in NA it will be up to at least $10 more which makes no sense. I am really torn about this game. I've read a bunch of reviews and they are middling at best, making it seem like it (gameplay) moves at such a glacial pace. I know games like these tend to be more relaxed than most other games but I don't want to have to wait unnecessarily long to do things. @Quinnsdaddy11 Well after some research it makes absolutely zero sense. In Canada, Xbox $29.99, Ps4, $39.99, Switch $37.79. WTF is up with that pricing. There may be many factors into why many games cost differently on the Switch. One reason to give you to think over is many companies use 3rd party companies to do the port, that cost has to be made up somewhere. So a 73% is a middling review? I have played great games that have scored way lower. @Quinnsdaddy11 I did say it was the reviews I read. Point me to said review and it might be the push I need. Woo I am glad that the patch is already live. Sunk 50 hours into the pc version this weekend and this is totally a purchase this Friday. I love the mining mechanic. Higgins can fall down a well. Hopefully this patch will be on the cartridge when the game launches as retail version in a few weeks. Cool. Just DL'd it now. Good to see fixes before release. @MetalGear_Yoshi They have most likely submitted to Nintendo already so it’s a waiting game on their part. Nintendo can be slow! I can confirm the patch is live already - just downloaded it and playing with improved load times. @Tisteg80 patch fixes were around in the GBA era. You needed Fire Red/Leaf Green to fix R/S/E berry bug or are you too yong yo remember that ? Maybe you didn't know this but the patch was approved in QA and released just now. And the game releases tomorrow. How do you suggest they could possibly print cartriges and ship them to stores in one day? I think you're the one who's too young to realize that "going gold" i.e putting the game in print and ship, is usually done one to two months in advance. @Zimon hehehe love the reference! @Sagator is right. According to Metacritic, the average video game score is 76%. Technically 73% is below average. As far as I know the physical version has been delayed until May 14th. At least in Europe. So that's more than a month away. All I meant was that it would be nice to have that patch already on the cartridge. I prefer retail games that are as complete on cartridge as possible. Of course I know that nowadays too many people don't care about that anymore. Dear fanbots, please justify the price tag for an older indie game that's cheaper on other platforms and obviously runs better. No, portability doesn't count as a "feature" it's a caveat. All these ports have to be slimmed down to even work on the switch resulting in an inferior version of the game. Charge accordingly for them. Also a day 1 patch is stupid for a game that had already been sent off for certification. Test better. bare minimum to get approved by Nintendo. then the day 1 patch to get approval from the actual consumers. This game isn't older. Came out just a month or two ago. And the fact that they made the patch Day 1 rather than- say- week 3- implies that the testing is going fine. Sweet. As someone who's played it could you tell us roughly how long the loads are now and how often they occur? @MetalGear_Yoshi when you enter and leave any building the game loads. Before leaving your house could take 1.30- 3 minutes to load it was insane. It's now around 10 seconds. I've not counted but it's substantially better. It also used to load every time you spoke to someone it would just pause for a second it was horrible. The same goes for shops they would take around 3-5 seconds if not longer just to show you what they had. All fixed. It takes 3 minutes and 2 seconds for my switch to start the game up and get to the main menu. It also stutters really bad in the ruins. I can't believe we still have people complaining about Day-One patches and then refer to the "good old time". I advise you to watch a GDQ event to see what games looked like back in the day when developers didn't have the chance to fix bugs and glitches post release. Ideally every game releases in a perfect state, but that is and always has been impossible. It's in the nature of coding and I am sure anyone who actually did some coding in their lifes understands this.